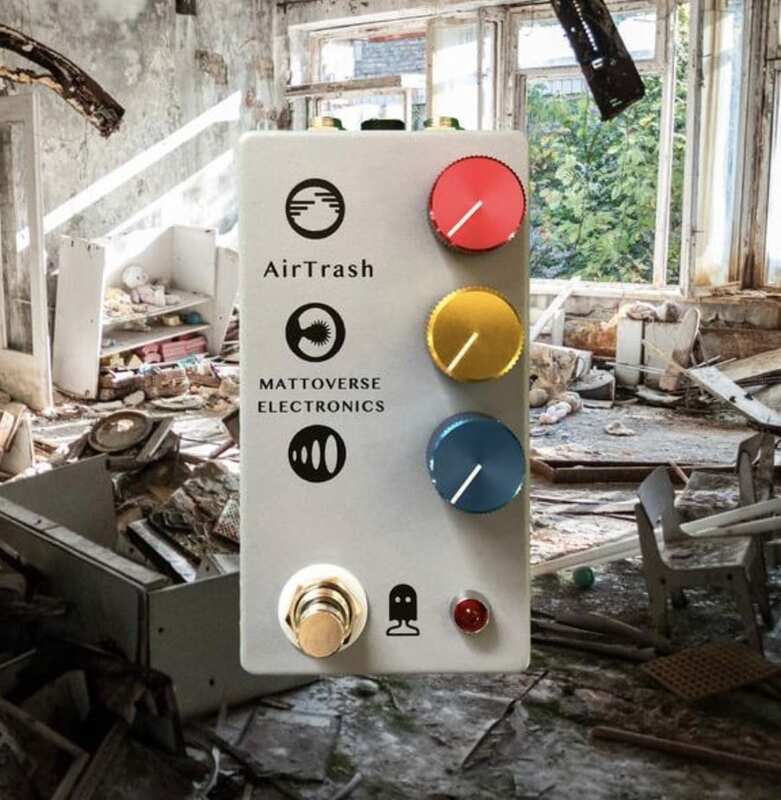 Mattoverse Electronics AirTrash fuzz pedal: Make your guitar sound like garbage! When Matt Olson a.k.a. Mattoverse Electronics was playing around with breadboard circuit ideas and making the integrated circuit do unspeakable things, he stumbled on what would eventually become the Airtrash. 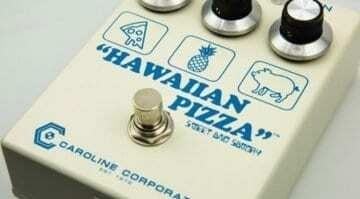 Is the AirTrash pedal a happy accident or the latest in fuzz box circuit design? The jury is still out. It certainly has a sound all of its own, although we’re still within the realms of unadulterated fuzziness. Make no mistake: the AirTrash is certainly an acquired taste. 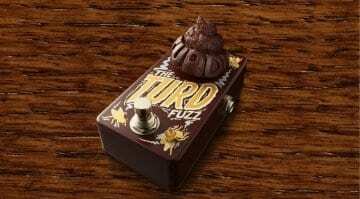 But if, like me, you enjoy a good dirt box fuzz pedal, then chances are you will find a way to use and abuse what the Airtrash has to offer. Airtrash – Rubbish or genius? The three controls are colour coded: blue is the overall output level and the other two… It’s not easy to describe exactly what they’re up to. So Mr Mattoverse added little pictograms next the yellow and red dials to suggest the parameters they control. You’ll just have to do without knowing exactly what you are tweaking and just dial away until you find a noise that resonates with you. 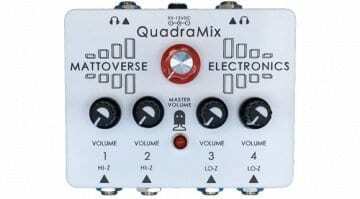 This pedal will work on guitar or bass, apparently, though it likes to be first in the signal chain and is sensitive to both volume and dynamic changes. I’m a fan of the minimalist approach to layout and design here, but this is for noise makers and experimental players. It is true-bypass and so won’t mess with your tone when not engaged. 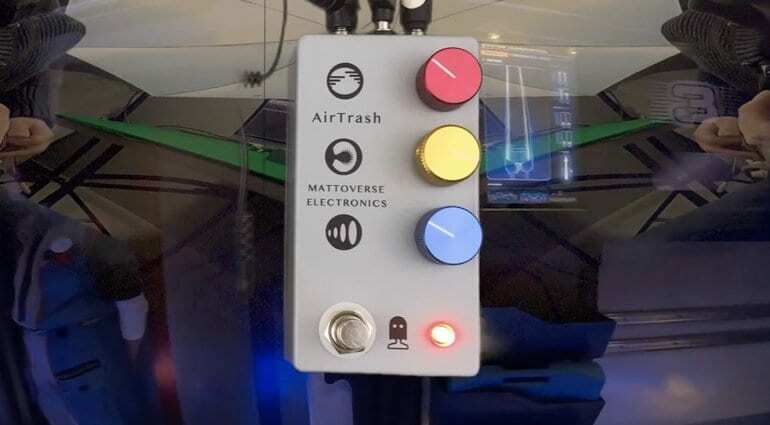 The AirTrash runs from an external 9-Volt centre-negative power supply (no battery) and has top mounted jacks, making it well suited to pedalboards. My advice is to listen closely to the official video demos below – the AirTrash is pretty anarchic and not for everyone. 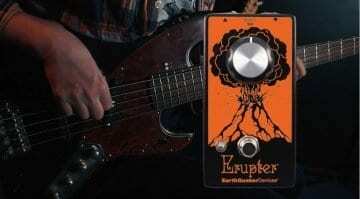 EarthQuaker Devices’ Erupter fuzz pedal: Simply Dirty!